A lovely giant. 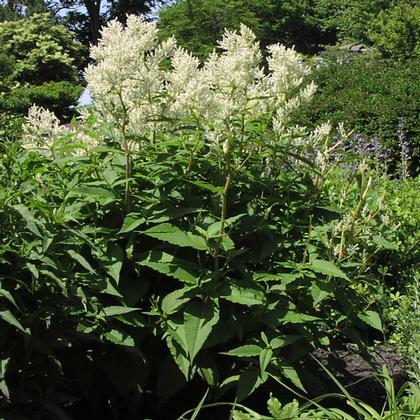 Dense feathery white plumes bloom on tall stalks that resemble Aruncus. Lance shaped dark green foliage adds drama. Give it room!